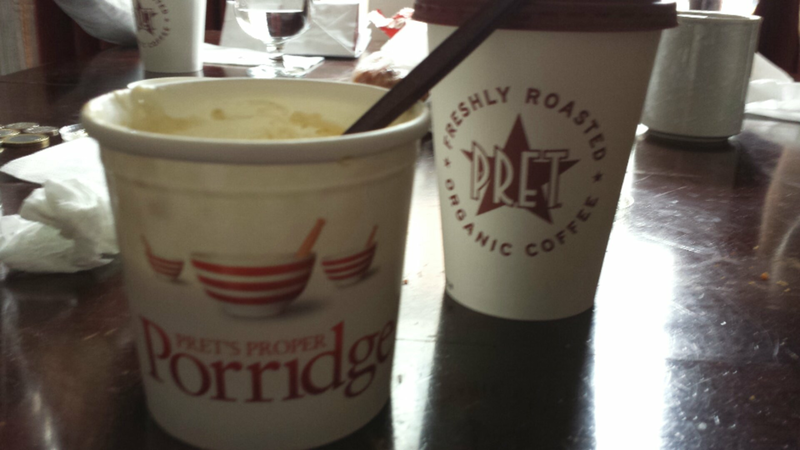 Porridge and honey from Pret. And a cafe latte. Mmm. 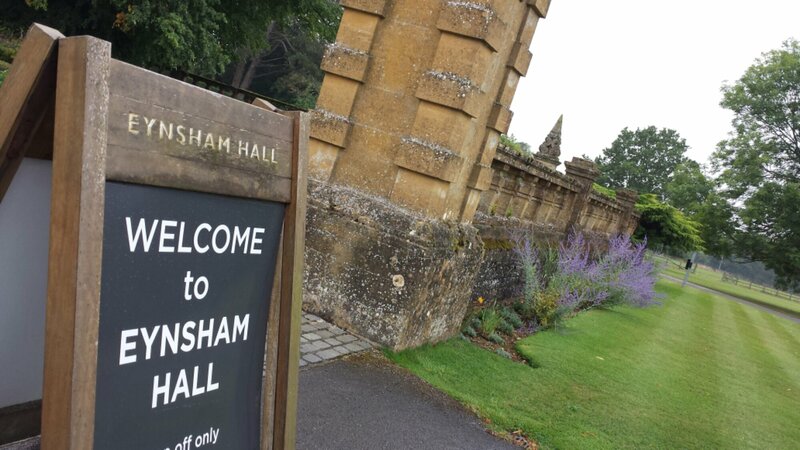 On our second day at Eynsham Hall we decided to skip Blenheim and go into the little town of Witney. As the bus didn’t run on Sunday, we decided (foolishly on my part) to walk the more than 3 miles into town. The walk was lovely, past beautiful little houses, fields of sheep and cows, and gorgeous views. 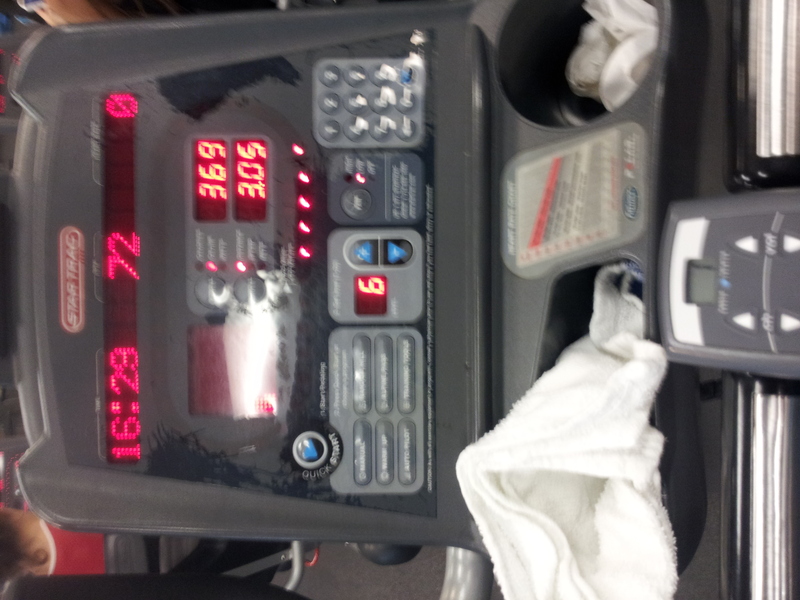 By the time we got to town my feet were aching fiercely. 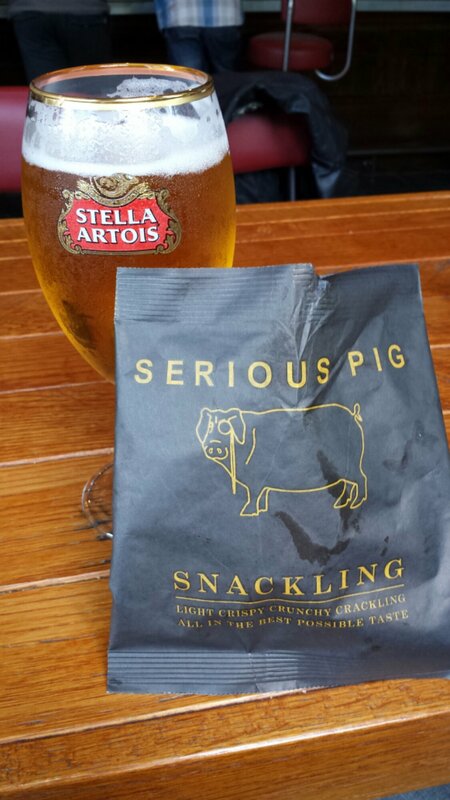 So we stopped for a pint and crisps (which were pork rind) at the closest pub, the Blue Boar. They had a hog roast on the back patio and live music. We wandered around the main street and market square down to the church, and walked around the grounds because the church closed 5 minutes before we got there. One thing I didn’t expect in England is the bees. They’re everywhere and because there aren’t screens on the windows they fly sometimes indoors. I’m afraid to get stung somewhere nasty, like my eyeball. We took a cab back to our hotel. Today we left the country for the busy streets of London. 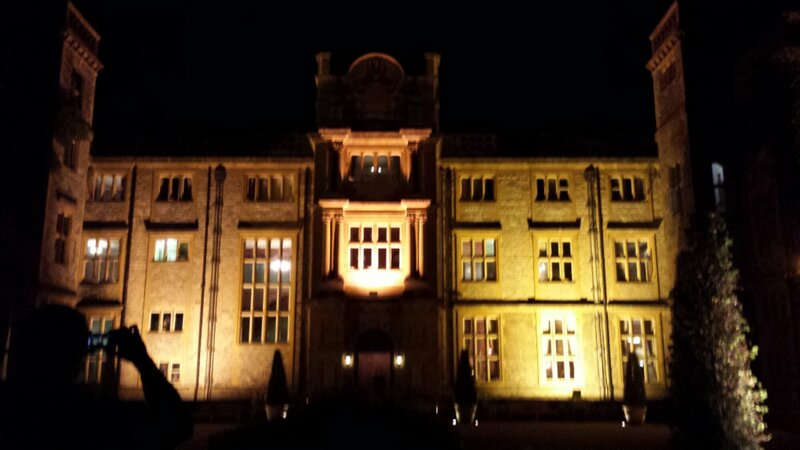 It’s been absolutely wonderful at Eynsham Hall. The building is gorgeous and I can’t get enough of the views. There’s a long driveway leading to the main building from the street and the gardens are immaculately cared for. The day we arrived we walked partway down the drive, then turned around thinking we had hit a back entrance. We followed the online map and dragged our luggage along the side of the main road, pulling it up into the grass when cars came by. 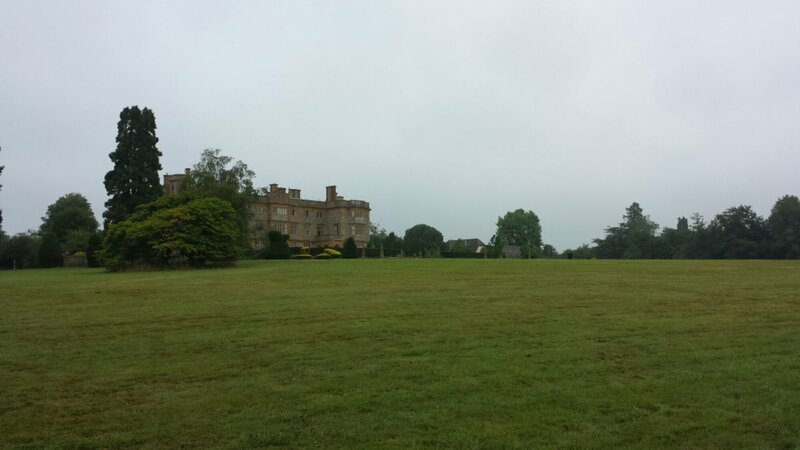 A nice motorist stopped and have us a lift back – down the long driveway until we reached the main hall, sweaty and tired from dodging cars and pulling our luggage on grass and weeds. I’ve never been so grateful for a warm shower and a clean bed. By then we’d been awake for nearly 24 hours, with a few little pockets of an hourish of sleep on the plane. My hair, which looked great in its bun after we got to Heathrow, was a scraggly mess by the time we got to Eynsham. I’m sure I looked like a crazy person. Thanks to the diplomatic Vincent (“Let’s find our room first, we’ll take pictures later) I have no photographic evidence and had no idea what a mess I looked till we got to our room. Also, most of my good pictures are on my camera, but I don’t have the converter for iPad so I can’t show you until we get back to the states. Birthday dress from mum, with jewelry that was a Christmas gift! This was for an outdoor church dinner. No worries, I took sleeves too! And leopard print flats. Rawrr. We have one sponge with a plastic handle that had less than a tablespoon of dish soap still in it. 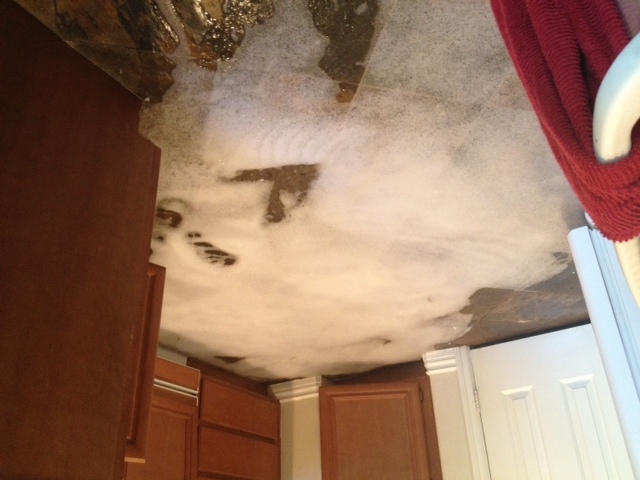 I foolishly thought it would be fine because it’s only a little extra dish soap. Little did I know… I won’t be making *that* mistake again! I chopped off my hair. With scissors.